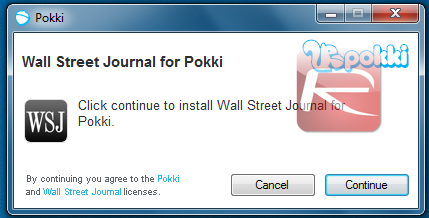 Pokki Brings App Store Experience To Windows 7. Download Now! Windows users are probably familiar with the concept of gadgets: mini-applications that run on the desktop, often used to display important data. As most of you know, however, the technology hasn’t really taken off as much as Microsoft would have hoped. 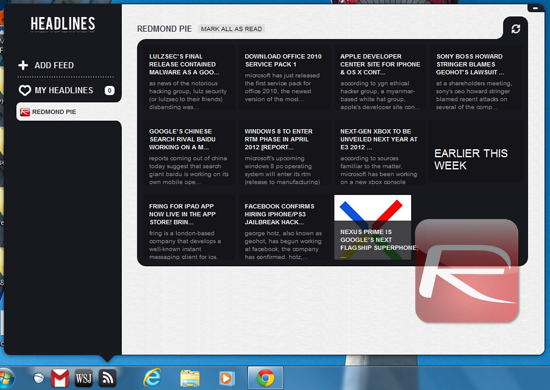 Pokki is a new platform that displays mini-applications on the Windows 7 taskbar. Excited yet? A few minutes later, the Pokki icon will show up next to the Start button, with the Pokki you’ve selected. From this point, installing more apps is as simple as hitting the acorn icon, which will bring up a list of the most popular gadgets. By heading to the "My Pokkies" sections, you can also uninstall existing apps really easily. No one has ever succeeded at creating a good gadget platform. Both Microsoft and Apple offer widgets/gadgets, yet both seem to be slowly scaling back this feature out frustration, due to their lack of popularity. No one can know for sure whether Pokki will succeed, since it doesn’t seem to have any feature that makes it stand out. 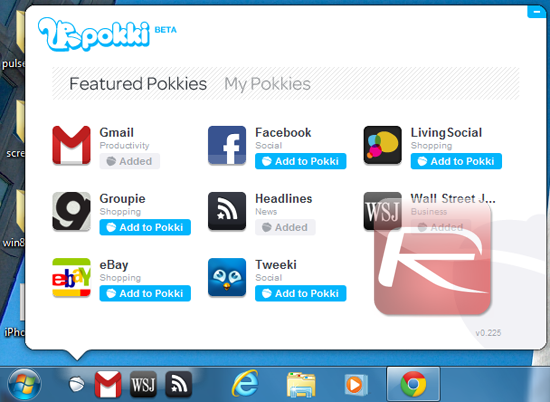 To download Pokki, check out the project’s website.